AB de Villiers expressed his excitement about Dale Steyn’s move to the Royal Challengers Bangalore. 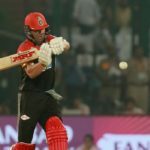 After smashing Royal Challengers Bangalore to a first win seven games into their IPL campaign, AB de Villiers expressed his desire to be an inspiration to the South African youth. 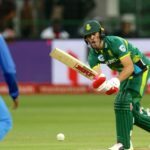 AB de Villiers says that ‘money was not the motivating factor’ for his retirement from international cricket. AB de Villiers will miss the Pakistan leg of the Pakistan Super League for Lahore Qalandars due to a back injury. Watch: The Weekly Show, Mzansi magic … and AB is back! 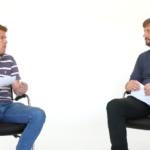 SA Cricket magazine editor Simon Lewis and features writer Alasdair Fraser talk about the start of the Mzansi Super League, AB’s return to competitive cricket, and New Zealand’s thrilling four-run win over Pakistan. 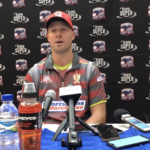 AB de Villiers speaks to the press after his return to competitive cricket with a devastating innings of 59 off 30 balls in the opening match of the Mzansi Super League. 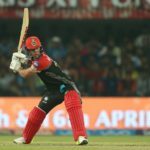 AB de Villiers’ Tshwane Spartans are coming to town … and they’re going to stamp out the Cape Town Blitz’s fire as they rain sixes into the crowd on Friday night, writes SIMON LEWIS. 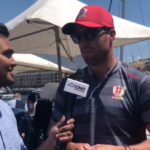 SACricketmag.com’s Khalid Mohidin talks to AB de Villiers, who revealed that he’s been practicing cricket and spending time in the gym over the past few months … and added how proud he is about the Proteas’ success in Australia. 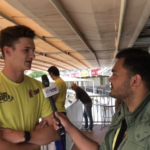 Eathan Bosch, the son of the late Proteas bowling legend Tertius Bosch, is targeting the wicket of superstar AB de Villiers during his spell with the Paarl Rocks. 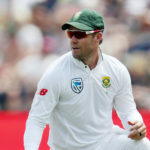 AB de Villiers has written of his excitement to get back into the thick of cricketing action in what promises to be an exciting eight months in the world’s cricket calendar. 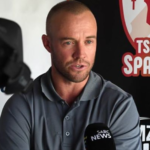 Superstar batsman AB de Villiers believes that his Tshwane Spartans might have enough to be top contenders for the Mzansi Super League tournament set to start next Friday, 16 November. 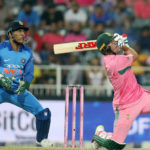 AB de Villiers has been drafted by the Rangpur Riders for the 2018-19 Bangladesh Premier League, which will be contested from 5 January to 8 February 2019. 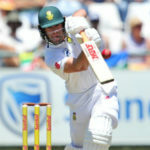 AB de Villiers has dismissed rumours about his Proteas return. 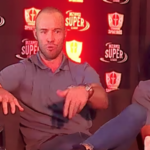 AB de Villiers is excited about playing for the Tshwane Spartans in the Mzansi Super League and watching new talent coming to the fore in South African cricket. Fan favourite AB de Villiers can’t wait to take to the field for the Tshwane Spartans and is looking forward to playing his part in feeding the city’s hunger for sporting success.